My goal this year is to read as many memoirs as I can. Mary Karr published a list in the back of her book "The Art Of Memoir," which has 201+ entires so I am starting there. My daughter gave me James Baldwin's "Notes of a Native Son" and that is what I am up to now. Recently read "H is For Hawk" by Helen MacDonald which is excellent and deserves a closer listen. 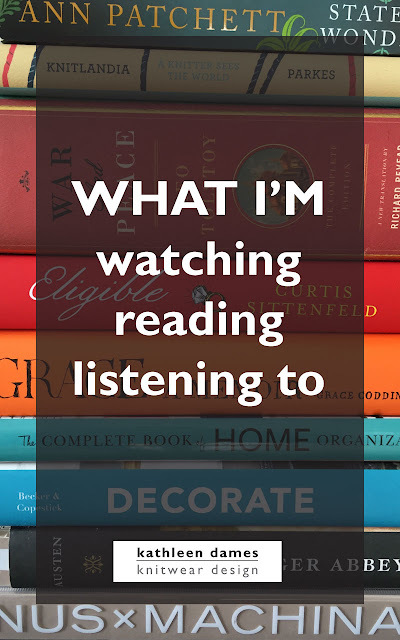 I also listen to audio books and I love thriller mystery cop novels. My husband and I isten together. I am listening to "Extreme Prey" by John Sanford. Also Love Jo Nesbo series with Harry Hole. Next in my audio queue is The Last Report on the Miracles at Little No Horse " by Anna Fields. I listen to rock and roll when I paint. It drowns out the inner critic. Mostly. I read the Game of Thrones series and liked it so I watch the series and like it. Great costumes;) I bought books one and two on adible and dd and I listened to it when we drove to Texas. But got burned out at the end of book one. I aslo am a Criminal Minds watcher. My husband makes fun of me and does not get why I watch this stuff but I do not lose sleep over it. I am also studying "Sourdough", and just bought a book called the "Art of Manipulating Fabric". That is all my brain can hold at the moment.